James Allison, Parker Institute for Cancer Immunotherapy director at MD Anderson Cancer Center, addresses reporters in New York City after learning of his award. 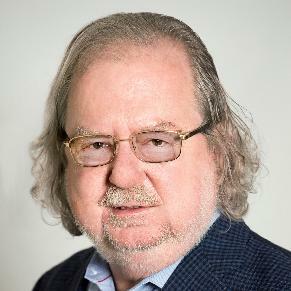 James P. Allison, Ph.D., a director at the Parker Institute for Cancer Immunotherapy at the University of Texas MD Anderson Cancer Center, shared the 2018 Nobel Prize in Physiology or Medicine today for his seminal research on the immune system that led to breakthrough cancer treatments called checkpoint inhibitors. The Nobel Committee jointly honored Tasuku Honjo, M.D., Ph.D., of Japan’s Kyoto University for his contributions. During a press conference in New York following the announcement, Allison said he never expected to win but was elated nonetheless. “It’s every scientist’s dream,” said Allison. He thanked his son, who first told him the news at 5:30 a.m., and his wife Padmanee “Pam” Sharma, M.D., Ph.D., co-director of the Parker Institute at MD Anderson Cancer Center. 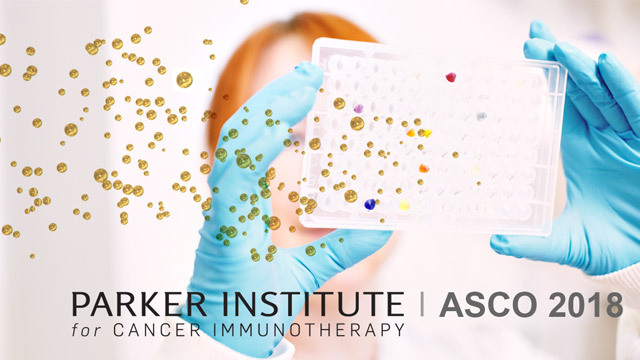 Allison also expressed his gratitude to the thousands of patients enduring cancer, and said he remained optimistic that with time scientists will find a way to make immunotherapy beneficial to even more patients. Allison’s work led to a greater understanding of CTLA-4, a key checkpoint in the immune system that helps regulate the body’s response to disease and infection. That research led to the development of multiple immunotherapies called checkpoint inhibitors, which act as a brake on the immune system. 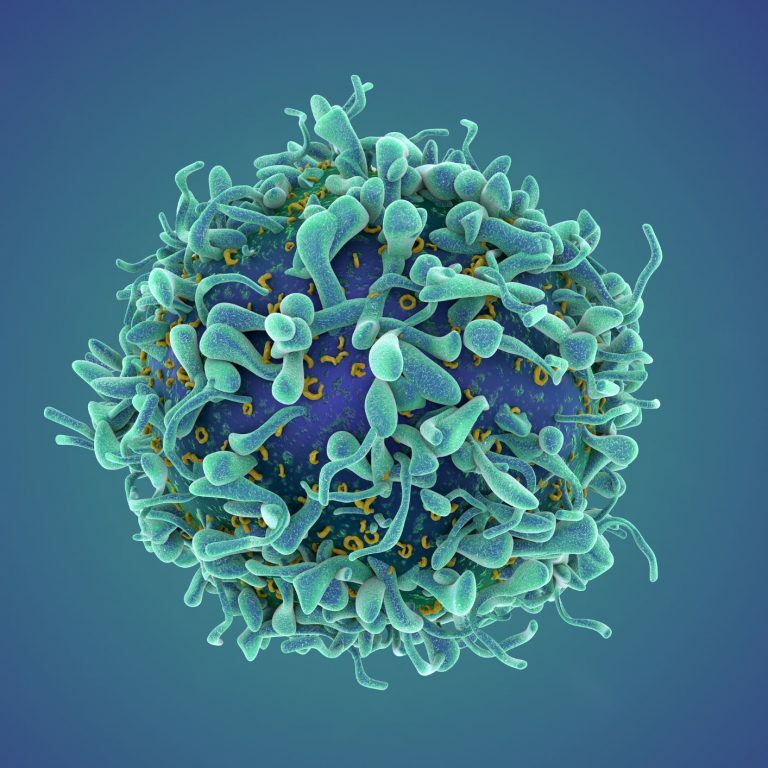 In the early days, few understood much about T-cells, and the thought of immunotherapy – the idea of unleashing to body’s immune system to eradicate cancer – was slow to gain acceptance. He remained steadfast, both driven by his own desire to solve the puzzle of cancer, but also to fight back against a disease that had so ravaged his family. The first checkpoint inhibitor approved by the U.S. Food and Drug Administration, ipilimumab, has been shown to dramatically extend the lives of many patients with deadly advanced melanoma. Checkpoint inhibitors have now become a first-line treatment for other tumor types, including certain types of lung and bladder cancers. 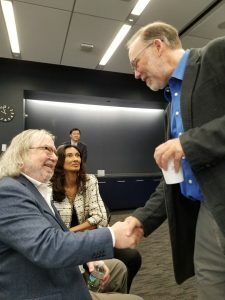 Parker Institute Director James Allison shakes the hand of Fred Ramsdell, Parker Institute vice president of research, after winning the Nobel Prize. The Parker Institute congratulates Dr. Allison for this award and his tireless efforts to save lives and end cancer.